When turning my notebook on it will not boot up or even bring me to the accounts screen, I am stuck with theloding circle and does not progress further than that, any help would be great thanks. A very warm welcome to the HP community. A very good day to you. I understand that you have an HP Pavilion Notebook - 15-ab254sa laptop. I read that it does not boot to Windows and is stuck on the loading circle of Windows. Did any software changes or updates happen on the laptop recently? The laptop came with Win10, are you still using the original operating system or have changed it? Have you tried to restart the laptop and checked? Press the Ctrl+Alt_Del keys on the keyboard and check if the laptop comes out of this state. If there is no reaction of the laptop then press and hold the power button until it powers off. Disconnected AC adapter from the laptop. Reconnect the battery and plug the AC adapter. If the issue persists then let us try to perform a Microsoft system restore on the laptop to roll it back to an earlier date when it worked fine. This will not delete your data. NOTE: Please refer to the steps mentioned under "Restore your computer when Windows cannot start normally." Turn on the computer and immediately press the F2 key repeatedly, about once every second. 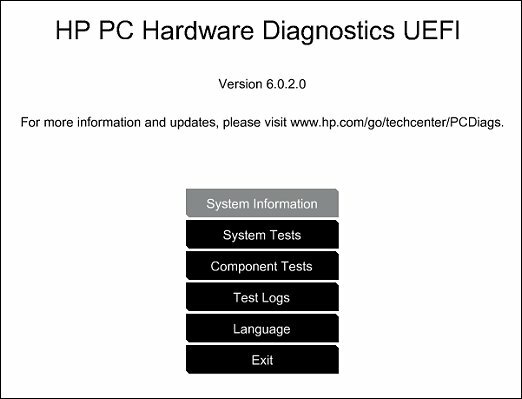 The HP PC Hardware Diagnostics (UEFI) main menu is displayed. Please initiate a test on the Hard Drive. You may initiate a short test first and if it passes, then initiate an extensive test. 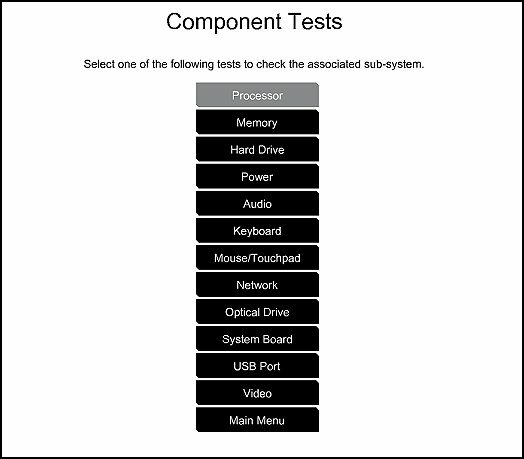 Later initiate a test on the memory too.